THE just concluded three-day hartal has been quite violent and bloody. According to media reports, 18 to 20 people were killed and thousands injured. There was also widespread destruction of properties. Such mayhem was unnecessary and our two major political parties — Awami League and Bangladesh Nationalist Party — must bear its responsibility. The two major parties have been at loggerheads over the nature of election-time government since the unilateral adoption of the Fifteenth Amendment by the Parliament on June 30, 2011, which abolished the system of Caretaker Government (CTG) from our Constitution. The opposition has been demanding the revival of the CTG, as a part of which they called the three-day hartal to put pressure on the government. The ruling party, on the other hand, has been dismissing the demand on constitutional grounds that the CTG is no longer in the Constitution. It is thus clear that the Fifteenth Amendment is the source of the present political crisis and the mayhem that followed. However, the amendment’s legitimacy, and even its legality, are seriously in question. One may recall that on July 21, 2010, the Hon’ble Prime Minister proposed the formation of a 15-member special parliamentary committee, with the Deputy Leader of the House Syeda Sajeda Chowdhury as the Chair and Mr. Suranjit Sengupta as the Vice-chair, to amend the Constitution. The opposition BNP was invited to join the committee, but they refused. The Committee, over the next 11 months, held 27 sessions and consulted experts, political parties (including the ruling party), journalists and the civil society representatives. According to the prepared proceedings, the Committee, in its 14th meeting held on March 29, 2011, after extensive discussions, “unanimously decided to keep the existing CTG system intact.” However, the Committee decided to identify the limitations of the system and discuss those in its future meetings. The statements of some of the Committee members in the same meeting are worth quoting. For example, Mr. Tofail Ahmed, a senior Awami League leader, stated: “My personal view is that we should not touch any major aspect of the CTG. We should not create another issue … We should not unsettle a settled matter.” He opposed the idea of imposing a term limit on the CTG and warned that with such a limit the present ruling party may have to fight for the CTG again. He also opposed the idea of disassociating the judiciary from the CTG. The other members of the Committee present at that meeting, including Syeda Sajeda Chowdhury, Mr. Suranjit Sengupta, Mr. Rashed Khan Menon, Mr. Hasanul Haq Inu, Barrister Anisul Islam Mahmud, Advocate Rahmat Ali and Advocate Fazle Rabbi Mia, also concurred with their colleagues, making the decision to keep the CTG system unanimous. On April 27, 2011, a group of Awami League leaders, led by Prime Minister Hasina, appeared before the special Committee. The PM observed that the people do not want unelected and undemocratic government anymore, yet we had such governments in the past because of the loopholes in the Constitution. She asked the Committee to impose ‘a time frame by amending Article 58 so that similar opportunities do not exist’ in the future. Note that the PM recommended the amendment of the CTG, not its abolition. The finance minister also stated that we would keep the CTG. On May 10, 2011, the Appellate Division of the Bangladesh Supreme Court declared the CTG unconstitutional. The 4-3 split decision also observed that the Parliament could, for the safety of the state and the people, keep the CTG for two more terms. It further recommended the abolition of the Parliament 42 days before the election. After the pronouncement of short order by the Apex Court, the Committee decided in its 24th meeting, held on May 16, 2011, to reopen the issue of CTG after ‘receiving the final judgment of the Appellate Division of the Supreme Court.’ Absent the final judgment, the Committee, however, prepared its revised recommendations on May 29, 2011, in which it decided to keep the CTG with two rather minor changes. The first change called for imposing a time limit of 90 days for the CTG. The second change imposed restrictions on signing foreign treaties by the CTG and the ratification of any treaty, if signed, by the next Parliament. The Committee met with the PM on May 30, 2011, the day after it prepared its recommendations. The rest is part of history. The Committee, in its final report prepared in June, recommended the abolition of the CTG. On June 20, 2011, before the final judgment was even written by the Supreme Court, the Fifteenth Amendment bill without the CTG was approved by the cabinet. On June 25, the bill was introduced in the Parliament and on June 25 it was passed while the opposition was boycotting the Parliament. The present crisis, needless to say, is the result of such a rash and unilateral decision to abolish the CTG, which remains to be very popular, and the senior Awami League parliamentarians warned of such consequences. Our Constitution, according to its Preamble, is ‘the embodiment of the will of the people of Bangladesh.’ Unfortunately we cannot say the same thing about the Fifteenth Amendment. It does not even reflect the will of the Committee members, all of whom belonged to Awami League or its allies, rather it is the result of the dictate of one person — the PM. Thus, the legitimacy of the Fifteenth Amendment is highly questionable. Even the legality of the Fifteenth Amendment is doubtful. Article 7B makes about a third of our Constitution unamendable. 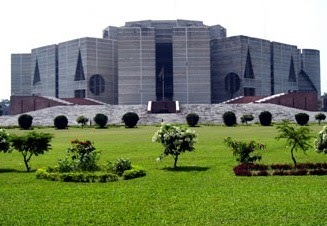 But as Mahmudul Islam wrote: “No Parliament can bind the successor Parliament’ (Constitutional Law of Bangladesh, 3rd Edition, p. 31).